The original flieger watch was called the b-uhren. It was commissioned by the German military in World War II, for use by it’s navigators. This thing was huge, sitting at 55 mm, and sat on the outside of one’s jacket. It was basically a pocket watch wrapped around your wrist with a belt. 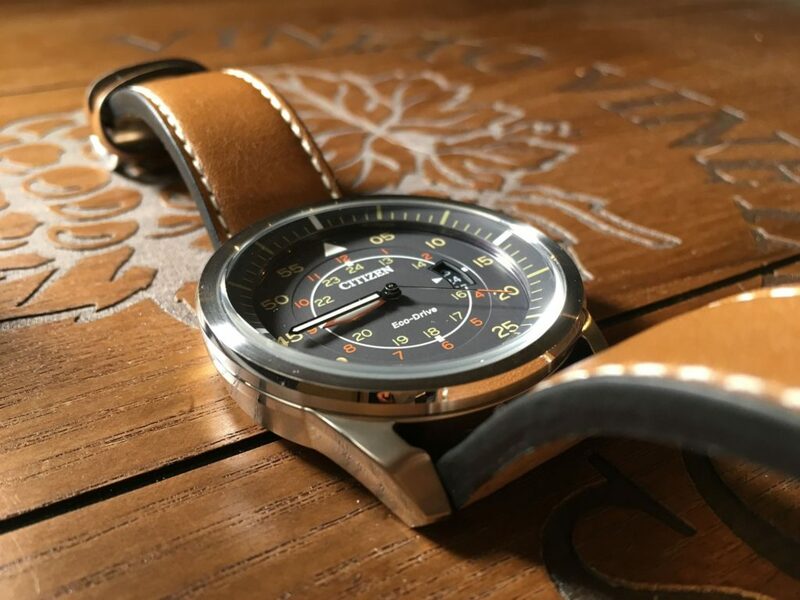 While it served it’s purpose as a precision navigation instrument, it also endeared it’s design into those that saw it. Germany meet Japan. Or how the Avion came to be. Perhaps it’s the mysticism of flight, or perhaps it’s the legends that surround the second world war. 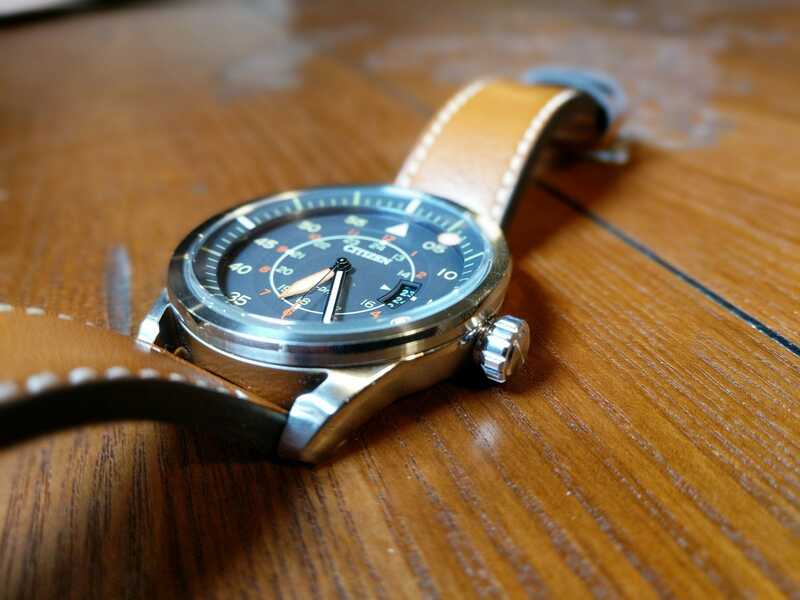 For whatever the reason, flieger style watches have been a favorite of collectors for years. 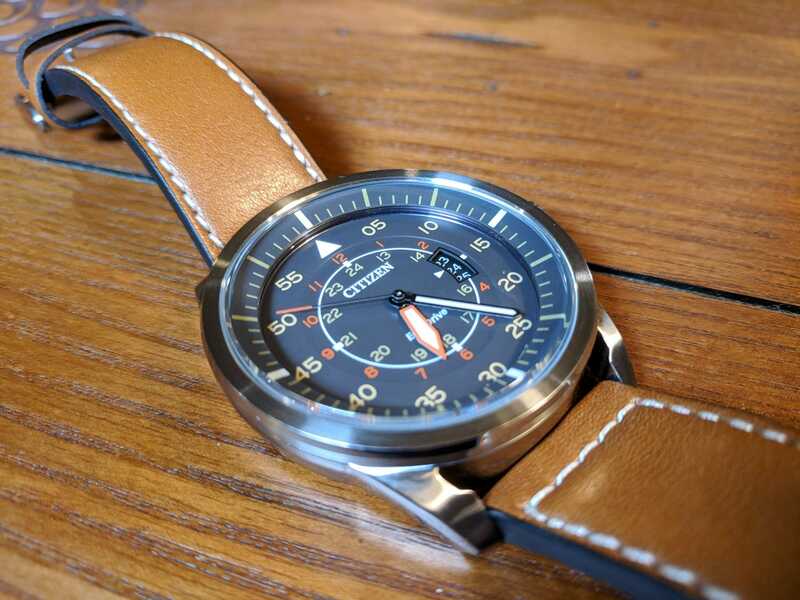 Most look towards the German and Swiss manufactures for a more authentic flieger. 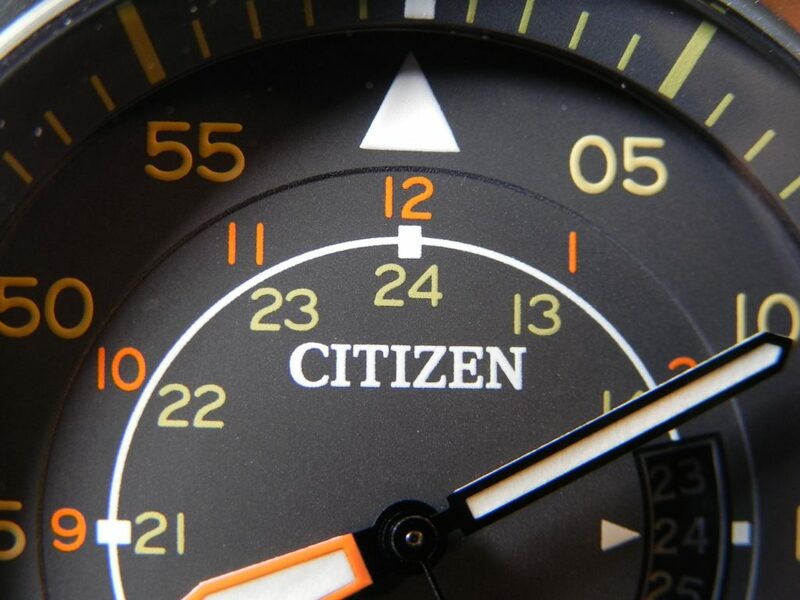 But a number of years ago Citizen decided to make their own, and combined the classic design with their Eco-Drive movement. They introduced the Avion. Model number AW1360-10H. 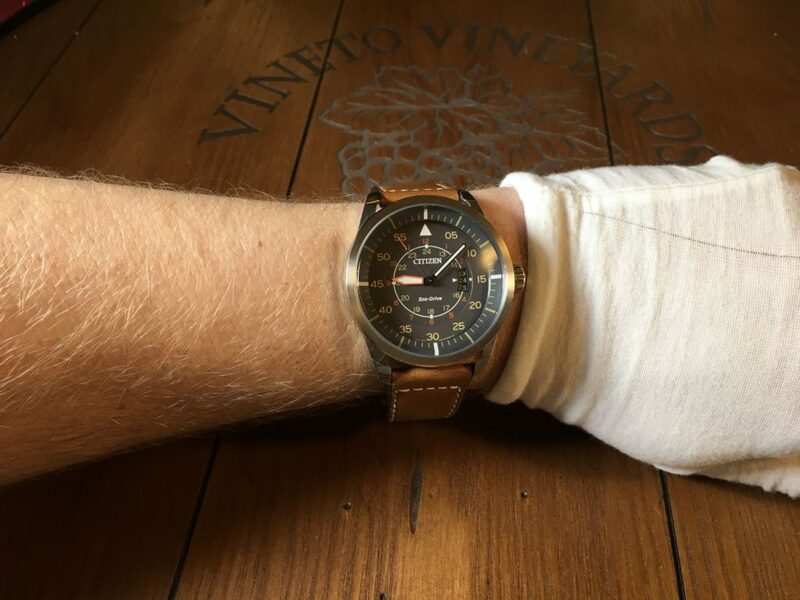 Sitting at a size of 45 mm, it is definitely a larger watch. But it is small compared to it’s original predecessors. 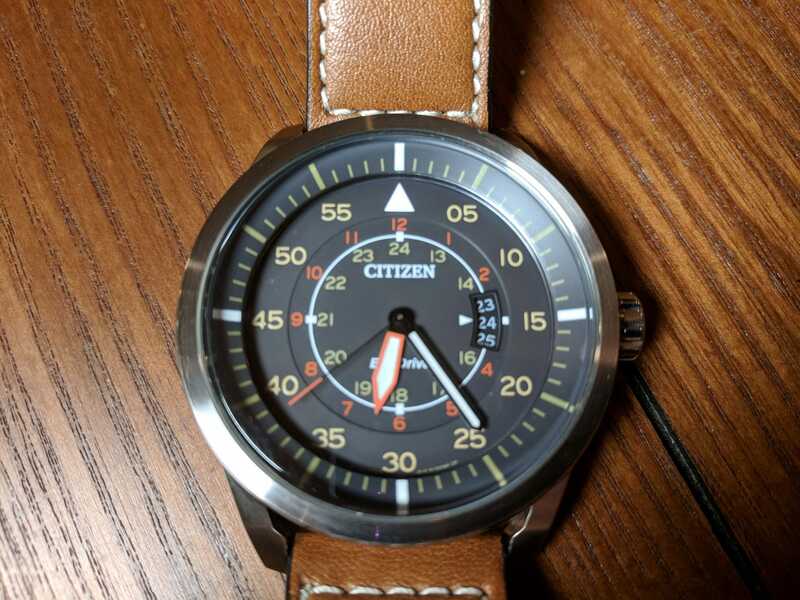 Instead of the original black and white color scheme, Citizen chose a more hi-vis option, with yellow and orange indicators. 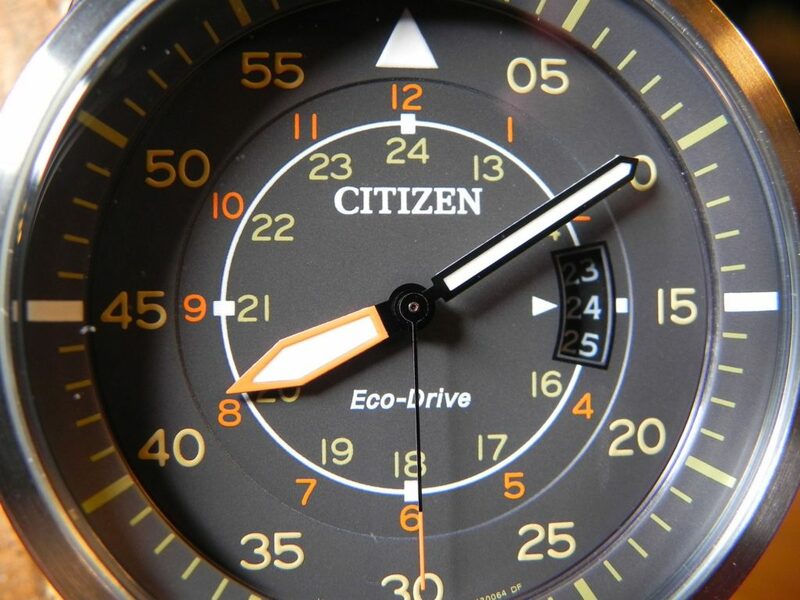 Now while this is not a complete historic representation of the original, it’s heritage is unmistakable. 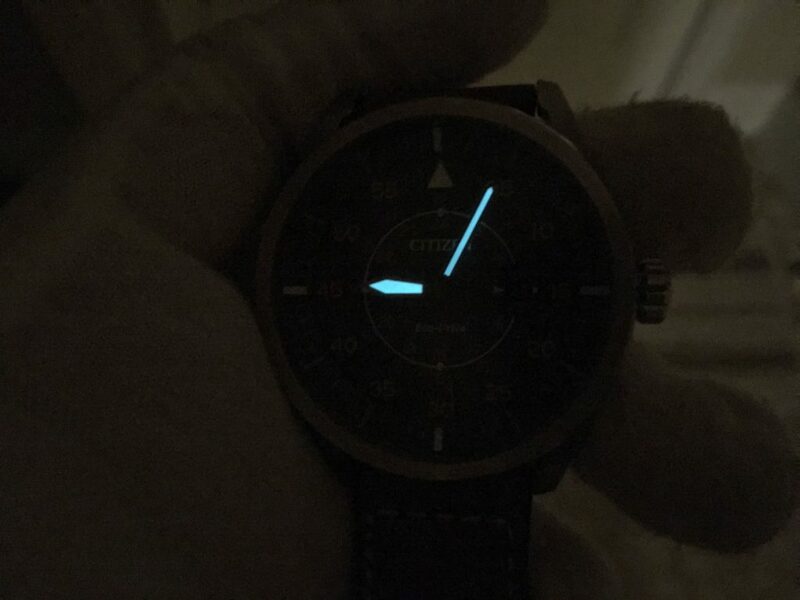 The end result being the easiest to read watch I’ve ever wore. 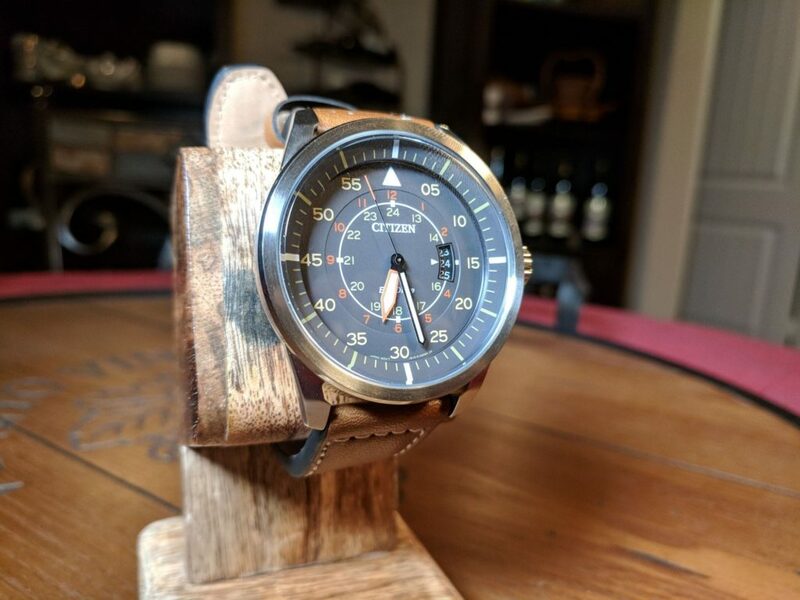 The Avion usually retails for about $100. 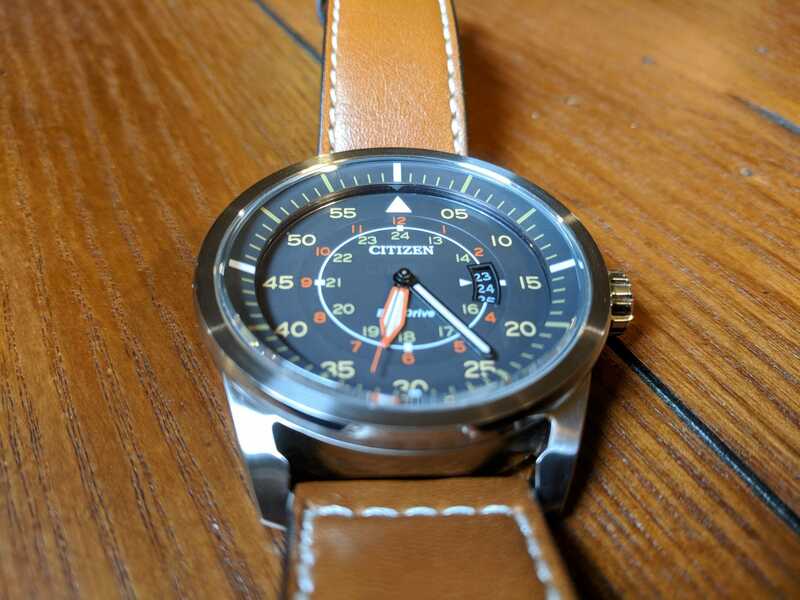 Which makes it the most affordable flieger out there. If they only hadn’t screwed it up with the strap. 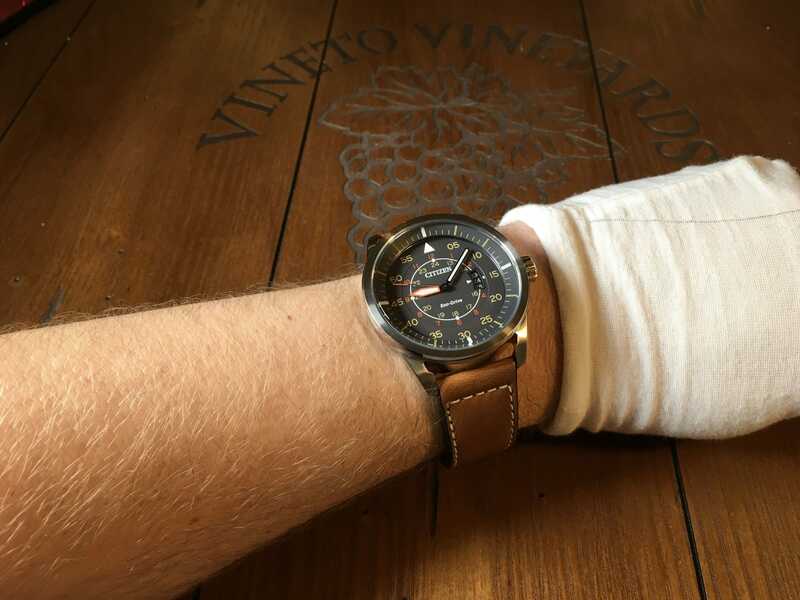 As usual, check out my full video review below. And if you like the watch, and want to support my channel, Amazon affiliate links below.